Here are a few small but interesting items that came our way this week. First up, our good friends at Zombieinfo are presenting American Mary tomorrow night at the Mayfair Theatre (of course). Show starts at 11:55. Then on the 27th, local director Dave Shaw premieres his salute to 50's creature features - "Late Night Classics: Gorilla" at 7PM at the Mayfair. The director and cast will be in attendance. Rather MAKE films then watch them? 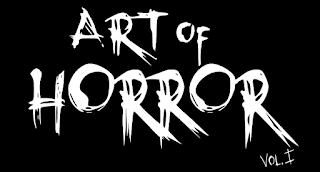 Montreal Horrorfest (part of Montreal ComicCon) is accepting submissions now until July 1st. Both Shorts and Features are eligible. And of course we're still taking submissions for Ottawa Horror Vol 3!